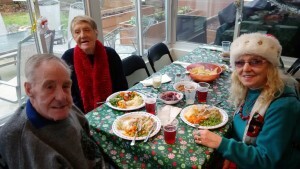 The Rotary Club of White Rock Peninsula hosted a special lunch for low-income seniors, including Sources clients, at Women’s Place on December 19, 2015. 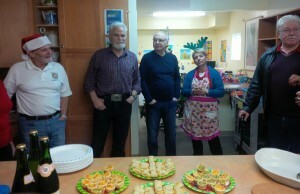 Volunteers from the Rotary Club of White Rock Peninsula prepared the lunch and cleaned up, too. They also sang Christmas carols along with two students from Earl Marriott Secondary School, Maia and Melanie, who played the ukelele and guitar. Denise Darrell, Sources director of women, seniors and community services, is a member of the Rotary club. 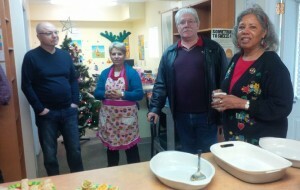 She said the clients each received a gift card, a poinsettia and a tin of biscuits, provided by her club. 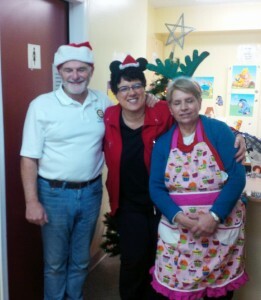 Thank you Rotary Club of White Rock Peninsula! 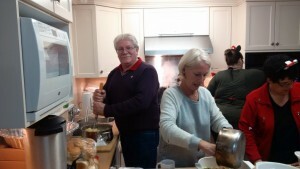 And thank you to Simone of The Rustic Gourmet for generously donating a delicious cooked turkey and gravy for the meal! ‘Tis the season.